We drove down to Waikiki this morning to go to Dukes for coffee and then for swims. We parked in the car park at the Waikiki shell and then wandered along Kalakaua Avenue towards the Outrigger hotel where Dukes Restaurant is. Dukes is named after Duke Kahanamoku who was a well known Hawaiian surfing legend. At the restaurant, we were seated at a table on the lanai which is right on the beach, and we enjoyed the wonderful view. The coffee is so good, the location perfect and the music is the best. So good in fact that we decided to stay for lunch. A trip to Hawaii for me is not complete without at least a coffee at Dukes. After lunch we walked back down Kalakaua Avenue towards Diamond Head where we stopped at Queens Beach for our swim. The water was crystal clear and perfect. After our swims we relaxed on the sand, people watching and taking in the gorgeous Hawaiian sunshine. I had almost forgotten just how good this feels. Another fabulous day in paradise. I enjoyed Hawaii so much last November that I am returning. The flight over from Australia to Honolulu is so easy. It is only just over 9 hours flying time which is a pleasure compared to the 26 hour flight to Europe. It is a direct flight, Brisbane to Honolulu. For us Aussies, that is so nice. So here is a little reminder of what I will be seeing again very soon. This time I am adding San Francisco to the trip. San Francisco is actually the main reason I am going. When my Hawaii friend Linda learned that I have never been to San Francisco she suggested that we go together some time. Well, now is some time. So of course you will be hearing from me from Hawaii and San Francisco, with lots of photos. Only a 9 hour direct flight from Brisbane is Honolulu. Yes, I am back in beautiful Hawaii. As many of you know this is where my passion for travel began. I came to Hawaii on a vacation and stayed 11 years. Yes, many years ago I fell in love with these beautiful islands which was Very easy to do. It has been a very long time since my last trip and certainly well overdue. Although I am now a tourist, this trip is not about being a tourist but in fact catching up with friends and doing the local things. The weather is simply perfect. The sun is just as hot as ever but with the trade winds blowing the climate is just right. Since arriving a few days ago my feet have barely touched the ground. 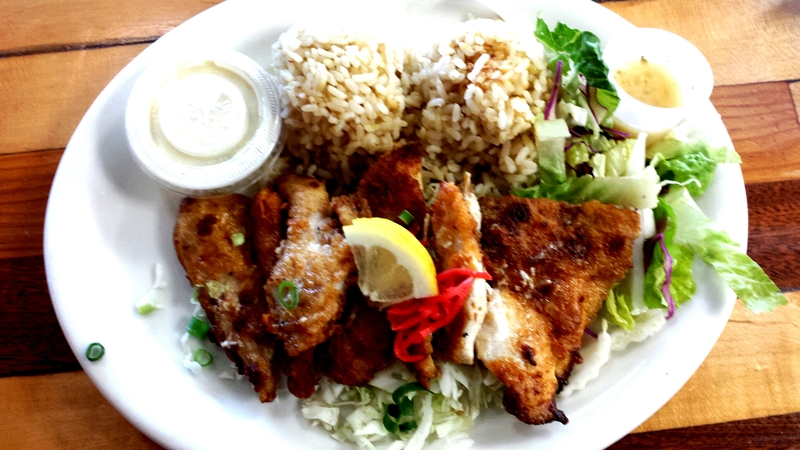 My first day included lunch at a local style restaurant where we enjoyed the very famous Mahi Mahi which is a local fish. Although it has been many years since I lived here, I felt quite at home sitting in this little restaurant. From there it was a walk along Kailua beach looking over to Kaneohe. I spent a morning on my favourite beach on the south side of the island, Sans Souci, which is just along from Waikiki. 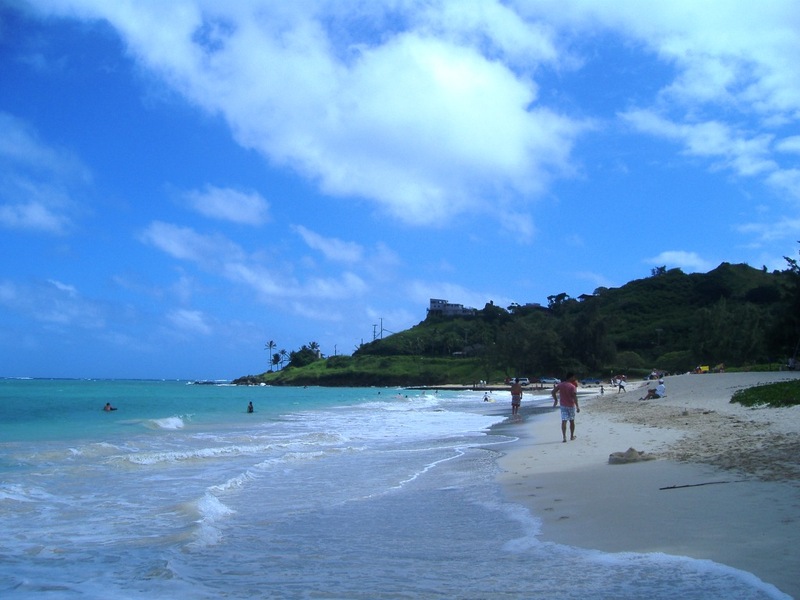 Sans Souci Beach is paradise at the foot of Diamond Head. There is plenty of free parking if you get there early enough. I always enjoyed the walk along the wall on the waterfront which leads to little private beaches where you can swim in crystal clear clean clean water. There is a park for picnics or barbeques, lots of space for playing etc and also showers and toilets right by the beach. 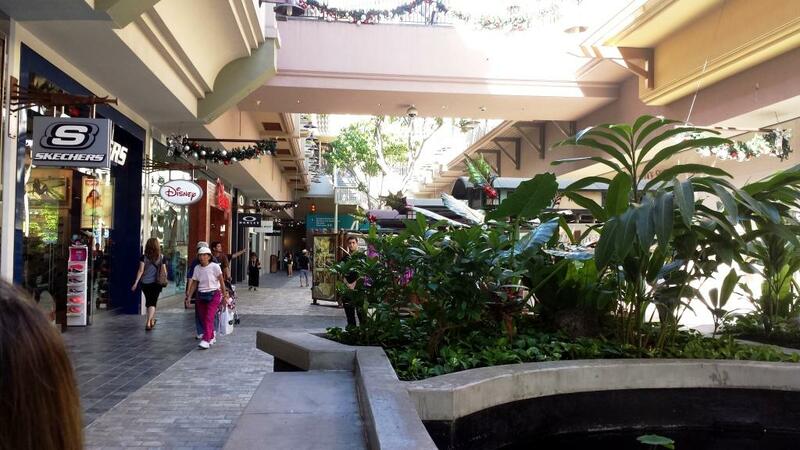 I spent a day at my favourite shopping centre, Ala Moana, which is a shopaholic’s paradise with many different types of retailers and a great selection of eateries. 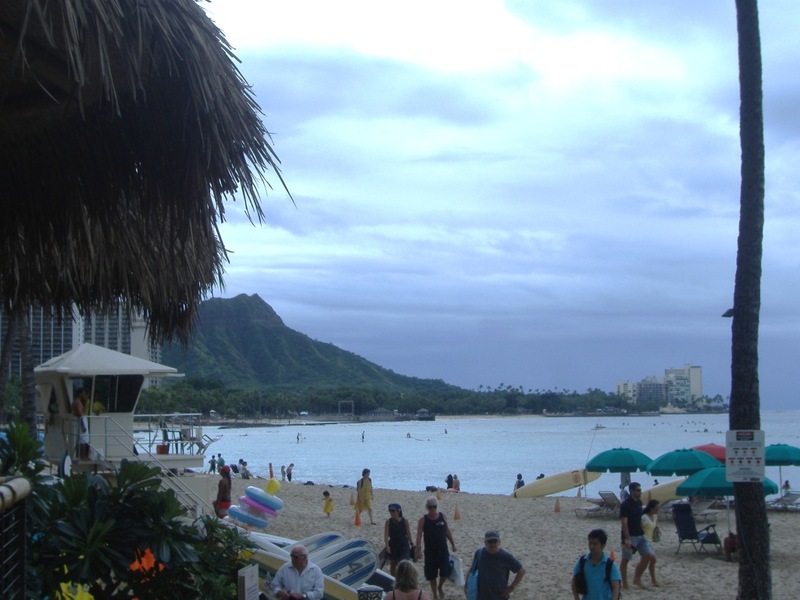 You can easily catch a bus to here from Waikiki beach. Another special day was church with my friends. This church, in Kaneohe, I thought, was very unique as it is on a golf course, and so very picturesque with the Ko’olau mountains as the back drop and views of the ocean in the distance. 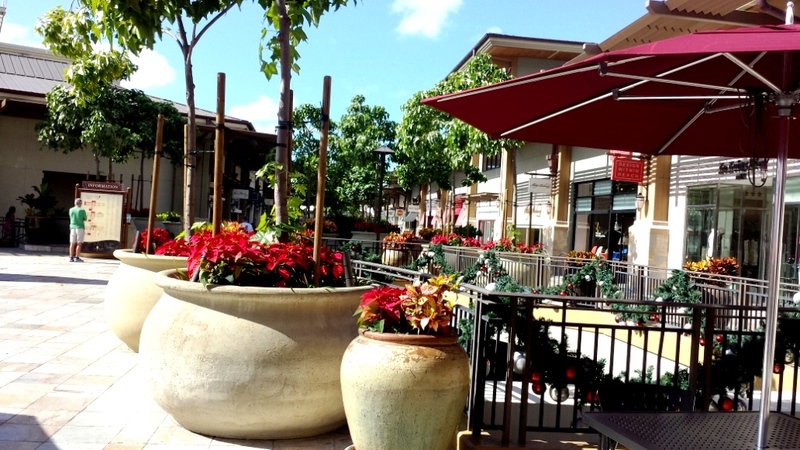 Kailua and Kaneohe are on the windward side of the main island Oahu and about 30 minutes drive from Waikiki or Honolulu via the Pali highway. A delightful escape from the hustle and bustle.